*Cost to patients can vary from $99-$299 per week depending on individual circumstances, Call office for details. Chiropractic is about maximizing your health potential by removing interference to the greatest healer that has ever existed, the healer inside you. The primary role of the nervous system is to relay information in the form of energy to the brain. Then, the brain sends information back to the body through the nervous system to adapt the body to its environment. It is a feedback loop that is happening in your body right now in response to temperature, visual stimuli, sounds, smells, what you have eaten recently, body positions and many other environmental stimuli. How successfully your nervous system controls this process will determine your level of health. Under the care of our skilled chiropractors, you will be able to continually progress throughout the 8 WW program keeping your body in optimal alignment as it transforms into a healthier you! On our program you will work with your own professional personal trainer in a program designed specifically for you and your goals. You will work on 3 key aspects of fitness: Mobility and flexibility, Cardiovascular training, and Resistance or Strength training. We are a “posture” based functional fitness program, meaning we want YOU moving well with perfect posture. Each program is tailored to your own ability taking into account you age, any limitations or injuries you may have, previous exercise history, and your current starting fitness level. Whether you are 18 or 80, you will find this program a match for you. For your local 8WW program, please view all of our locations. 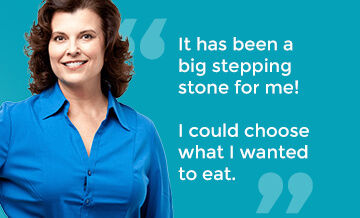 The 8 Weeks To Wellness program will show you how to eat for the rest of your life. This is not a quick fix diet, a liquid diet, a starvation diet, a low carb diet, etc. It is simply a eating program that will teach you, maybe for the first time, how to eat properly. Every day you will enjoy healthy meals and Ultra Meal® a meal replacement product designed to improve body composition. UltraMeal® promotes the loss of body fat while helping to maintain lean muscle mass. UltraMeal® also supports healthy heart function. Diets low in saturated fat and cholesterol may also reduce the risk of heart disease. As part of the 8 Weeks to Wellness® Program, you will learn how to read a food label, determine proper portion control, eat more frequent, smaller meals, and you will learn about your body’s need for proteins, carbohydrates and fats. It is all about choices…healthier food choices will make a healthier you!!! Massage helps to stimulate the release of endorphins (the body’s natural pain killer) into the nervous system to reduce your feelings of pain and discomfort without the use of unnatural and risky drugs. It stimulates your body’s natural pharmacy, which is always dosage specific, target specific and most important, FREE! This is why our 8WW® program includes one 60 minute massage each week. Like a sponge that is squeezed, a tight muscle cannot hold much fluid to pass through it. This decreases your circulation and increases the strain placed on your heart. This can leave you feeling fatigued and sore, reducing your precious energy reserves. Massage therapy releases contracted muscles and pushes venous blood toward the heart, easing the strain on this vital organ. Massage therapy has been shown to reduce waste products such as lactic acid that build up in muscles that are overworked…it’s the perfect way to end your week of workouts with our program! Mindfulness is taking control of your mind by directing its awareness towards something else, like your breath. Mindfulness is the mind-body tool that will remove fears, reduce cravings, strengthen self-awareness, and increase our ability to make proper choices when perceiving a stressful event. With 8 Weeks to Wellness® achieve an INCREASE in physical and mental relaxation, in alertness, in the capacity for more intimate and quality contact with others, in creativity and productivity, and in personal satisfaction with life and work. Stress is an integral part of everyone’s life. It seems the more you try to avoid stress, the more stress finds you. Stress is not something to be managed. Stress is an everyday fact of life. What needs to be managed is our response to stress. 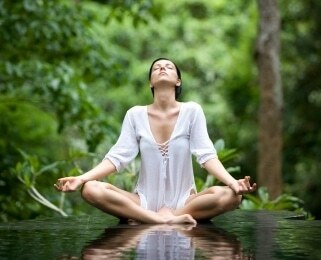 One of the most powerful ways to do this to learn how to meditate. Remember we are trying to strengthen our PEACE of mind muscles. This can’t be done without peace. It’s like trying to lift weights without the weights. life and work. 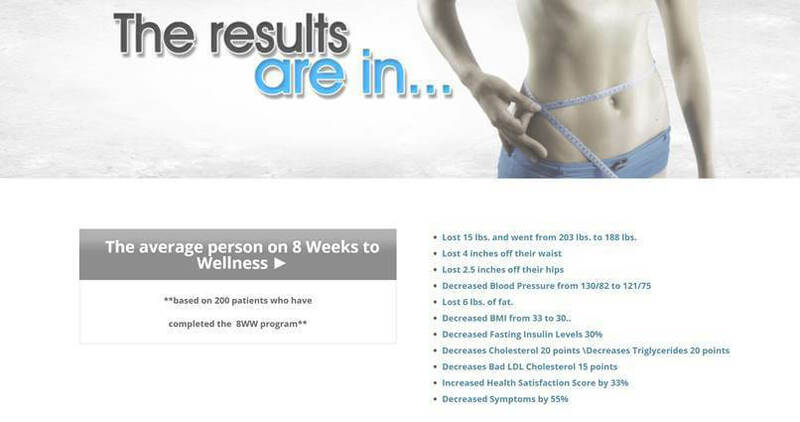 The 8 Weeks to Wellness® is just that – an eight-week program that focuses on health not sickness. Our comprehensive wellness program begins with a full body assessment that includes: complete physical and computerized muscle testing, postural analysts, body fat percentage’s, complete blood work and X-Rays. 8 Weeks to Wellness® will optimize what you think about, how you eat and supplement, and how you exercise and care for your body through a specific, comprehensive 8-week program. We have patients that start as little as $99/week. We have a no-cost and no-obligation orientation for our program at Perry Chiropractic where the costs are thoroughly reviewed in detail, call us today! GIVE US 8 WEEKS AND WE CAN CHANGE YOUR LIFE! 8WW is a time-flexible program that operates in 70 centers nationally and internationally. Cost varies depending on location, however, there is a no-cost and no-obligation orientation for the program in each center where program costs are thoroughly reviewed in detail. Program costs include the meal replacement shakes, supplements, meal plans, easy recipes and a nutritional log. Although the program concerns wellness, it's firmly based on a chiropractic foundation and methodology. At 8 Weeks to Wellness our goal is to make a significant impact in the lives of patients that participate in our wellness program. We offer a high quality wellness program centered on chiropractic care, massage therapy, nutritional counseling, exercise and mindfulness. It all starts with the Wellness Score. This is a scoring system developed to track and measure your physiology and function. It actually gives you a grade, A thru F. We measure what we call biomarkers of health. When we do a wellness score on you we look at various biomarkers of health. Below are a few testimonials from actual patients who wanted to share their experiences and biomarkers both before and after 8 Weeks to Wellness. "Before I was referred to Dr. Gillis, no one could diagnose my problems. I was in constant pain. Within the first visit, Dr. Gillis was able to tell me what was wrong, and how we could work to correct it and get me pain free. He is full of truth"